Fall Out Boy is an American rock band formed in Wilmette, Illinois, a suburb of Chicago, in 2001. The band consists of vocalist and guitarist Patrick Stump, bassist Pete Wentz, guitarist Joe Trohman, and drummer Andy Hurley. 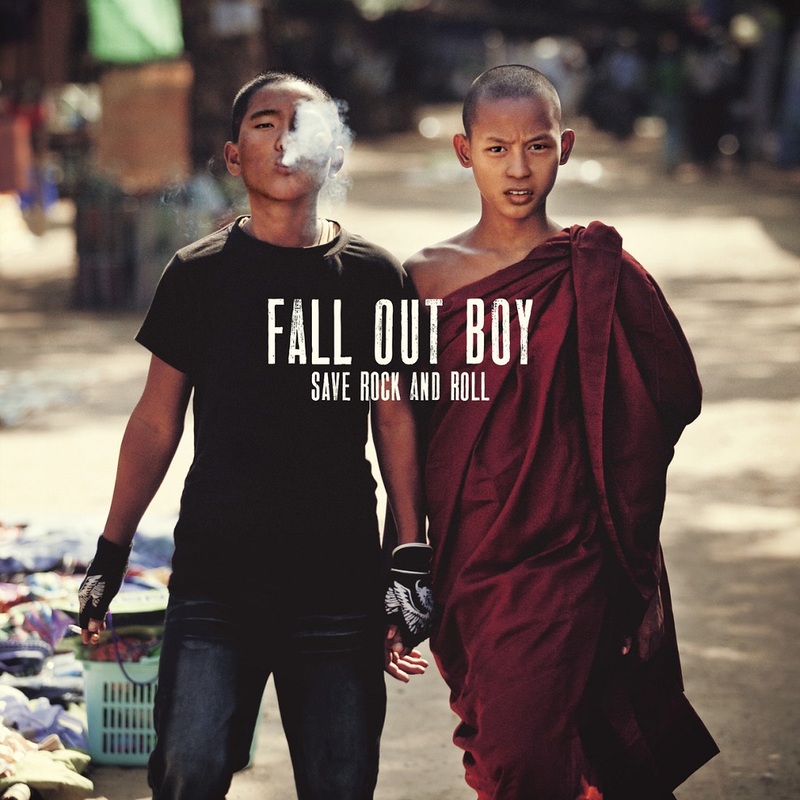 The above is the cover artwork of Save Rock and Roll, the fifth studio album by Fall Out Boy. It was produced by Butch Walker and released on April 12, 2013 through Island Records. The font used in the album cover is very similar to Woodie designed by Mateusz Machalski from Poland. The Woodie font identified above is not available for free, please follow the link above and purchase the font. Meanwhile, you can take a look at our collection of fonts for cars, pop music and apparel as well as round-ups of new & fresh fonts around the web. In addition to Save Rock and Roll, It seems we can’t find other examples (logos, movie posters, album covers etc.) of Woodie typeface in use.